Let me tell you a story. A story of real love. The name of this story is Daren&Sophia. And here it goes. 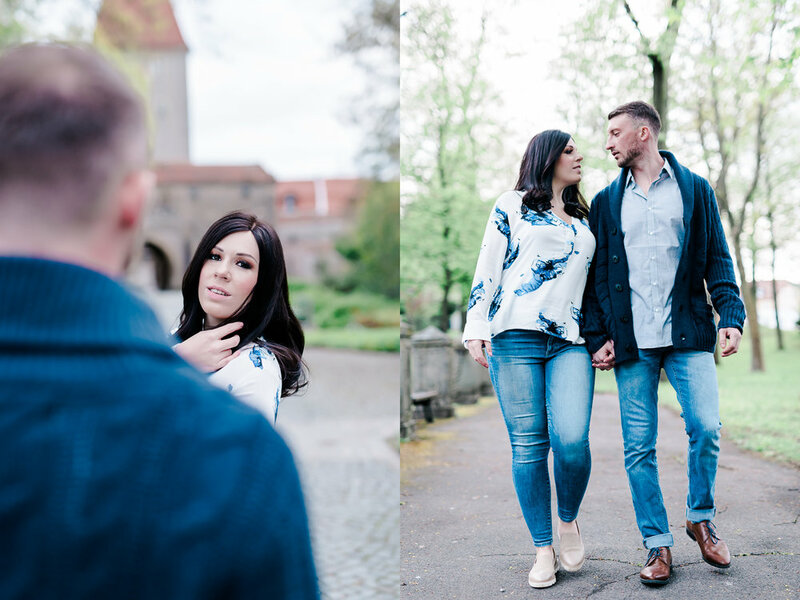 Daren got to know Sophia just a few short months after he arrived to Germany for work - but he didn't actually meet her until some time later as she was still considering wether or not he was THE guy to go out with. How is this possible you ask me? Easy. Because they met on Tinder. Their first date lead to dinner, then to a numerous hours of conversation and then every day spent together. Sophia described that time as that deserving of a princess, absolutely magical. Daren swooped her off her feet and it didn't take long to propose. 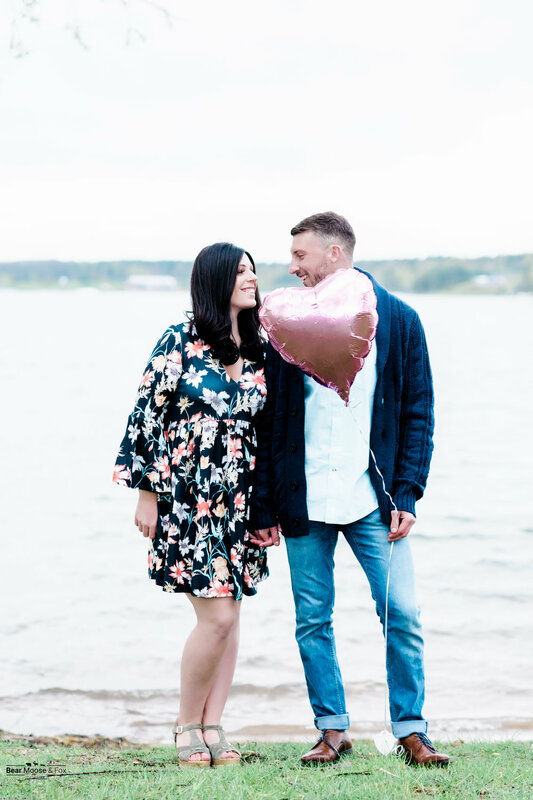 He popped the question at dinner time, right before they were heading out to see a play in the Stadttheatre, in their favorite restaurant L'Osteria in Amberg. I honesty don't even know HOW they sat through that play, being freshly engaged but both of the places became significant to them and are now woven into the story of their love. The day we spent shooting was probably the coldest April Saturday I remember to date. There was snow in the morning and it felt like temperatures kept dropping as we kept shooting. I am so grateful to both Sophia & Daren for getting through the day with a smile on their faces. I kept getting lost in their love and laughs and forgetting how cold it must have been for the two of them. But that is just proof enough that love warms all. 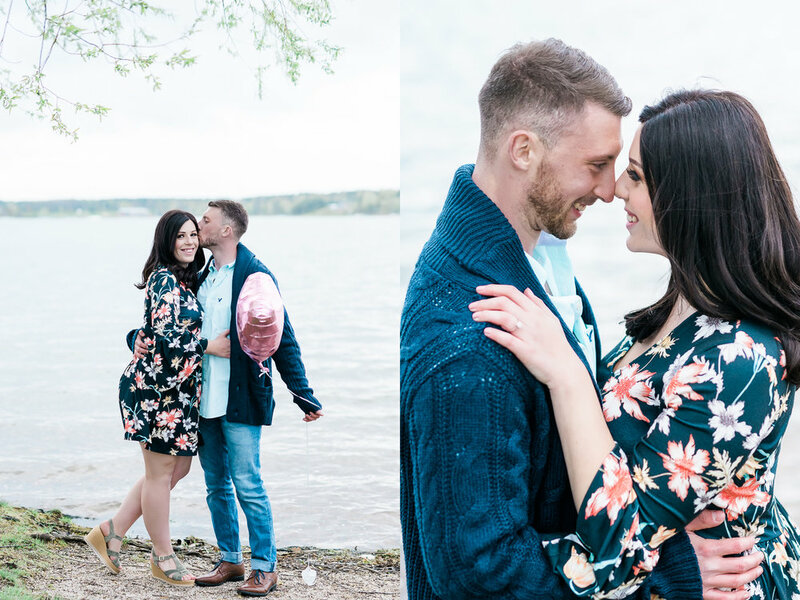 I can't wait to shoot their wedding in June!